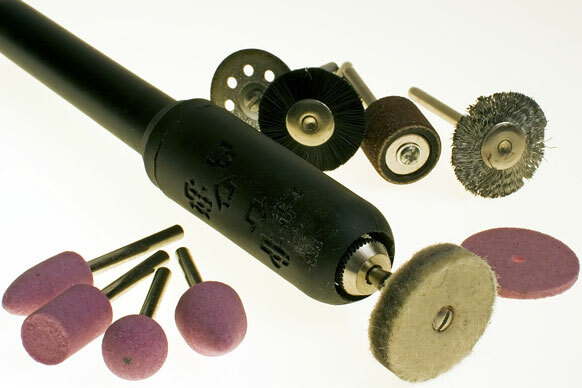 A black rotary tool, popularly known as a "Dremel™ tool", is photographed on a white background. A variety of different bits surround it. Depending upon the bit the craftsman chooses, the rotary tool can be used to shape, sand, grind, buff, or add texture to, metal.